Black Bean Hummus - A Different Type of Hummus! This Black Bean Hummus is creamier and smoother than a classic chickpea hummus, but is still flavored with classic hummus ingredients like tahini and cumin. Hummus is traditionally made with chickpeas, but I’ve come to enjoy black bean hummus a lot more. I will admit that black bean hummus is a lot uglier than chickpea hummus, but it makes up for it in taste. Black beans have always been one of my favorite beans, and they blend up so beautifully with the traditional flavors of a hummus. Don’t get me wrong, I LOVE a classic chickpea hummus, but having experimented with different types of beans beyond chickpeas, I think black beans are the best. And, I’ve started seeing black bean hummus more and more at the grocery store. It’s great for something a little different. Why make hummus with black beans? It not only has the delicious flavor of black beans, but it also blends a lot smoother than hummus made with chickpeas. It shouldn’t be surprising, since even eating black beans and chickpeas straight out the can, it’s noticeable how much creamier the texture is of a black bean. 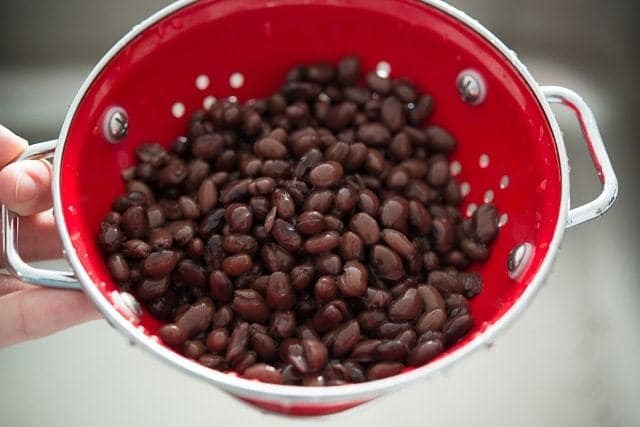 Rinse and drain canned black beans, then combine in a food processor with fresh garlic, tahini, lemon, cumin, salt, and olive oil, and blend until smooth. The prep is pretty much the same as regular hummus! Now you can serve it in a dish and pair with crackers or veggie sticks. These Black Bean Burgers are really delicious too if you’re a black bean fan. Happy cooking! For Black Bean Hummus without Tahini, simply omit it from the recipe. The hummus will still be creamy and smooth without it. For a Spicy Black Bean Hummus, add cayenne pepper to the food processor when blending the ingredients. Start with 1/4 tsp and add more as desired. Is it healthy? For many people, yes. It is gluten-free and dairy-free. 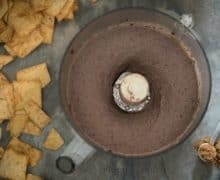 Can black bean hummus be frozen? Yes, it freezes very well, for a month or two. When ready to eat again, let it thaw in the fridge overnight. How long does it last? For 4-5 days in the fridge, or 1-2 months in the freezer. Serving suggestions: You can eat it with all the things you’d normally have with hummus, like pita, crackers, and sliced veggies. I also enjoy hummus as a spread in sandwiches or even as the “sauce” for pizza. Drain and rinse the beans until the water runs pretty clear. Place in the bowl of a food processor. Roughly chop the garlic and add to the food processor. Add the tahini, cumin, lemon juice, olive oil and a pinch of salt. Blend in the food processor until smooth, then taste and make any necessary seasoning adjustments. Enjoy! Keeps in the fridge for at least 5 days. Post updated with more tips and writing in July 2018. Originally published January 2015. Have you tried to freeze hummus. 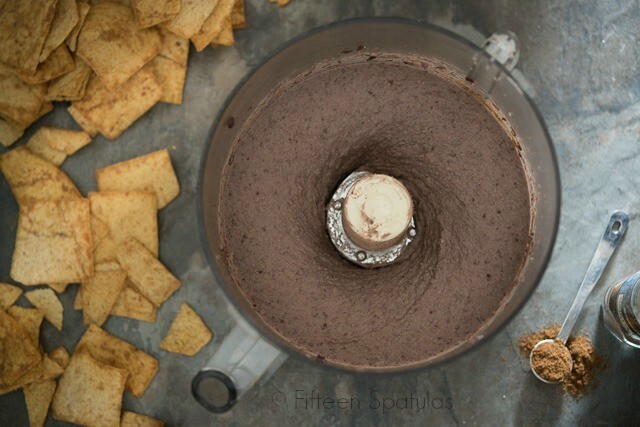 I would like to make this black bean hummus; but would also like to freeze some. Any suggestions? Hi Patricia, hummus actually freezes pretty well! Try pressing plastic wrap into the top of the hummus, so it’s not exposed to air. I have never had black bean hummus before! I think it looks pretty! How much dried beans would you need for this recipe?